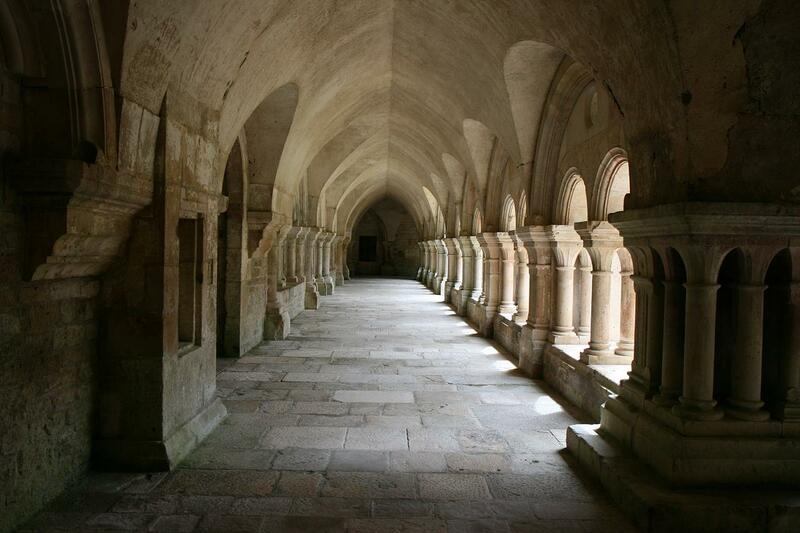 The peaceful cloister of Fontenay Abbey, founded by St Bernard of Clairvaux in 1118. The church was dedicated in 1147 and the monastic complex was completed by 1200. the cloister is where monks spent most of their free time, usually reading, working or praying. Some capitals are decoratively carved, but only with restrained stiff-leaf designs.